It's always a joy to come across another who shares your passion for genealogy. It's more rare to stumble across one from the 1800s. Here's one of the most delightful headstones. 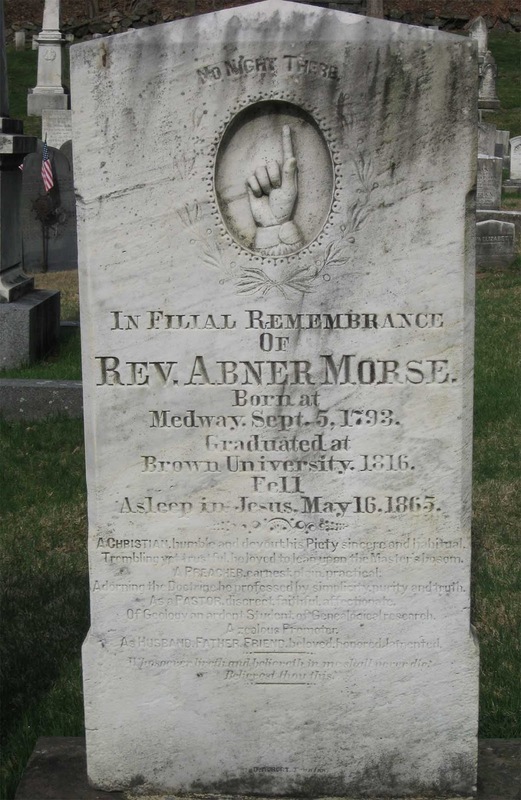 It memorializes Abner Morse of Holliston, Middlesex County, Massachusetts, fellow genealogist. A CHRISTIAN humble and devout, his Piety sincere and habitual. Trembling yet trustful, beloved to lean upon the Master's bosom. a PREACHER, earnest, plain, practical. Adorning the Doctrine he professed by simplicity, purity, and truth. As a PASTOR, discreet, faithful, affectionate. As HUSBAND, FATHER, FRIEND, beloved, honored, lamented. Whosoever liveth and believeth in me shall never die. Gravestone in the Central Burying Ground, Holliston, Middlesex County, Massachusetts. Photos by Marian Pierre-Louis. Last time I discussed the comparison of my DNA results from three different testing companies. Now I take a close look at my DNA in comparison to my Dad. 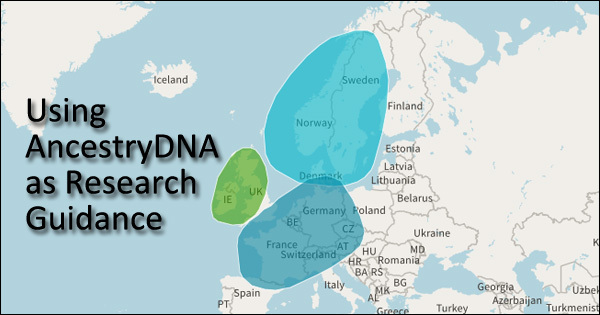 What I did first what to analyze my ancestry based on my genealogical research. Based on the origins of my immigrant ancestors I calculated basic ethnic percentages. I broke this down between my Mom's side of the family and my Dad's. Next I took my Dad's ancestry and broke it down into ethnicities as well. The fun starts when you compare your genealogical ancestry to your genetic ancestry! I think the results are often unexpected or off the mark. I took a look at both my dna results and my Dad's compared to our genealogy. Lastly I compared my dna and my Dad's dna results side by side. I am definitely his daughter even if I can't fully explain some of the ethnicities listed! Have you tested your DNA to your parents'? Did it come out as expected or were there some surprises? Let me know! I've tested my ancestral DNA at 3 different testing companies - AncestryDNA, MyHeritage DNA and Family Tree DNA. Should the results all be similar or different? Join me as I explore the results of the 3 companies side by side. I also point you to the ISOGG Wiki which is a great source for further information on ancestral DNA and genetic genealogy. NEHGS Announces DNA Day in Worcester, Mass. Just starting to think about what DNA can do for you? Or maybe you can't get enough of DNA testing? 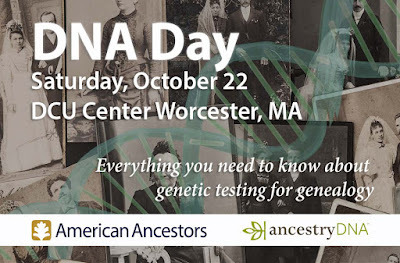 There will be a special DNA Day for genealogists in New England courtesy of the New England Historic Genealogical Society to be held in Worcester, Massachusetts on Saturday, October 22, 2016. Details are below. September 27, 2016—Boston, Massachusetts--DNA tests can break down genealogical brick walls, connect distant cousins, unlock mysteries, and even reveal long kept family secrets. But accurately deciphering results is not without its challenges. 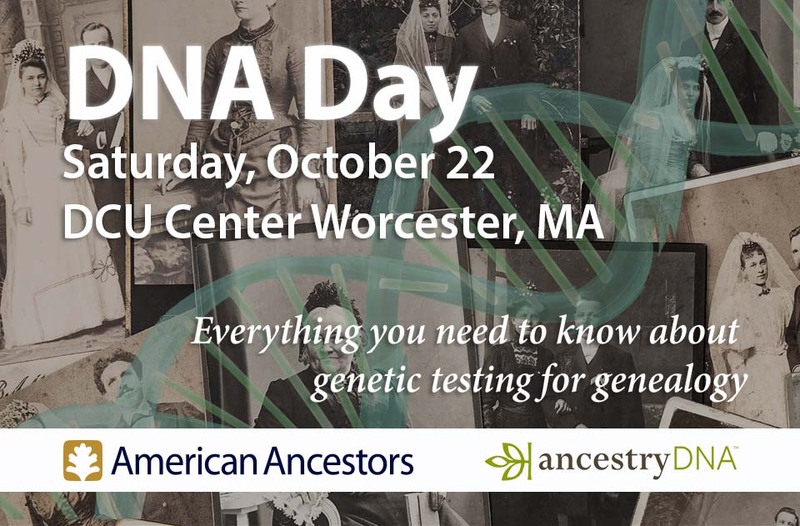 Experts from American Ancestors of the New England Historic Genealogical Society (NEHGS) and AncestryDNA will present a full-day seminar on how to interpret DNA findings and apply that knowledge to your own family history research at a DNA Day on Saturday, October 22, 2016, at the DCU Center in Worcester, Massachusetts. In a keynote address marking his first public appearance since the publication of the best-selling book The Stranger in My Genes, author Bill Griffeth, co-anchor of Closing Bell on CNBC, will discuss how his own genetic findings altered his sense of identity and his family tree. Beyond lectures, participants will have the opportunity to chat with genealogists and DNA experts, acquire select publications, purchase a DNA kit from AncestryDNA, attend website demonstrations, take advantage of special discounts, and interact with other family historians. The author Bill Griffeth will be available to sign copies of The Stranger in My Genes and will participate in a luncheon forum on the story behind his new book. Christopher C. Child, Senior Researcher of Newbury Street Press at New England Historic Genealogical Society, is the editor of the Genetics and Genealogy column in American Ancestors magazine and editor of the Mayflower Descendant. He has written several articles for a number of scholarly journals and is the co-editor of The Ancestry of Catherine Middleton, co-author of The Descendants of Judge John Lowell of Newburyport, Massachusetts, and author of The Nelson Family of Rowley, Massachusetts. His areas of expertise include southern New England, especially Connecticut; New York; ancestry of notable figures, especially presidents; genetics and genealogy; African-American and Native-American genealogy, 19th and 20th Century research, westward migrations out of New England, and applying to hereditary societies. Bill Griffeth, author of The Stranger in My Genes, is one of the country's longest serving and most respected financial journalists on TV. He began covering Wall Street in 1981 on the Financial News Network (FNN). In 1991 he joined CNBC where he has anchored a number of programs, most recently Closing Bell from the New York Stock Exchange. Since 2003, his hobby has been genealogy, and he has traveled tens of thousands of miles in the U.S. and Europe researching his and his wife's family histories. He currently serves as a Trustee of the New England Historic Genealogical Society in Boston. Anna Swayne of AncestryDNA has ten years of experience in the DNA Genealogy world. Her focus is educating on the power of DNA and the story it can unlock for each of us. She enjoys teaching beginner and intermediate classes at national and local conferences on DNA and how it can answer ancestral questions or assist with genealogical roadblocks. 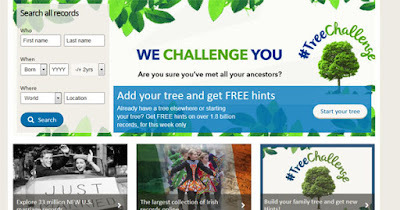 From May 23-30, 2016 FindMyPast is hosting a Tree Challenge. If you upload a family tree, the hints you get on ancestors will be completely free during this week and will be added permanently to your tree. 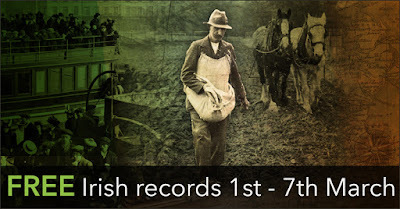 To encourage you to try this out, FindMyPast is giving away some prizes. If you share any discoveries you make on your tree via social media with the hashtag #TreeChallenge then you have a chance of winning an expert bundle worth $1000. This includes a a 64 GB Ipad mini4, a three TB hard drive and a 12 month subscription to Family Tree (UK) magazine. They will also be giving away a 12 month world subscription on their social media channels each day during the challenge. In order to test this out I created a free, non-subcriber account on FindMyPast. I then uploaded a gedcom file with one branch of my family. It took less than a minute to upload the gedcom file. Sometimes, when there is a lot of traffic the process can be slower. Next I waited for ancestor hints. Once I started to get ancestor hints I reviewed them to see if they matched my relative. In the example in the next video I found one matching ancestor hint and rejected two. You can watch how I did that. What is great about this particular promotion is that the hints and corresponding transcriptions and images are accessible for free during this promotion. Any hints that you add to your tree will remain permanently in your tree even after the promotion is over. I had a few surprizes during my adventure and that turned out to be a great learning experience for getting to know how FindMyPast works. So give it a try. 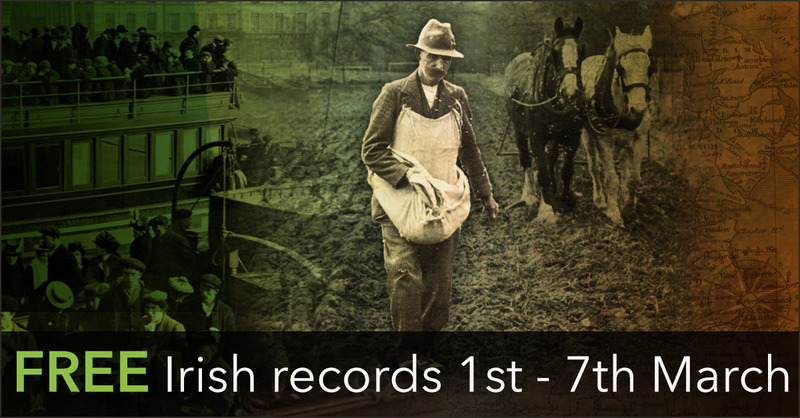 You may find some records for your ancestors that you don't find on other large database sites. And if you don't have any database subscriptions this is a great opportunity for you to do some research! If you need to know how to do anything else on FindMyPast, let me know and I will create another video! Disclosure: I'm a FindMyPast ambassador which means they give me a free subscription to play around with their site. I did NOT use that to create these videos. Instead, I opened a new, free, non-subscription site so that I could exactly replicate what the experience would be like for new, non-subscription users. That is what you see in the videos. Even though I tested at AncestryDNA in 2012, I didn't get excited about DNA until this year when my uncle and my father tested as well. With more close family in the pool it became more obvious to me how to use the results. 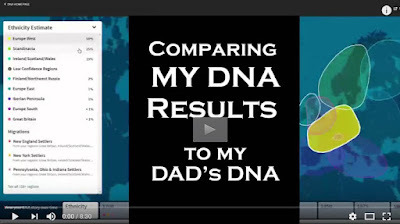 Then last week I watched a webinar "Watch Geoff Live: DNA" where host Geoff Rasmussen revealed DNA results live in the webinar with the help of DNA expert Diahan Southard. This webinar was very helpful as Diahan went through what everything meant (ie how to interpret the results). Geoff was also very lucky because the results he was sharing belonged to his grandmother, who is a few generations closer to his more distant ancestors than he is. I learned many new tricks but there was one in particular that stood out for me. Diahan showed how we can use the filters to maximize the benefit of our DNA matches. In the webinar Geoff was actually able to prove (with Diahan's help) that two people he suspected belonged to his Brown family actually did belong because they were DNA matches for his grandmother. He was able to prove this because he had done quite a bit of previous research identifying these individuals. So he knew they existed before the DNA test was done. He just needed to prove they were connected. In my case, I have a brick wall, Magdalena Roemer, who is my 2nd great grandmother. She was born in what is now Baerenthal, Moselle, Lorraine, France. Many genealogists refer to the larger region as simply Alsace-Lorraine. Unlike Geoff, I don't have any "suspect" relative matches. But I can still use Diahan's trick to my benefit. I went into AncestryDNA and brought up my matches. Next I clicked on Search Matches button. Next I entered a surname, in this case, Roemer. You also have the option to add a location but I opted to skip that so as not to narrow down the results. What happens next is that AncestryDNA searches all the trees of your DNA matches for the same surname and returns those results to you. Before learning this trick I was clicking into every DNA match individually and trying to figure out how they connected to me. With 101 4th cousins or closer matches, this was a slow process! Remember, I didn't have any potential relatives for Magdalena Roemer before this search but afterwards I did! I am basically starting from scratch. But identifying potential ancestral relatives is half the battle. AncestryDNA pointed me in the right direction and now it's up to me to do some good old fashioned genealogy research to see if I can connect the two on paper with documents. In other words, AncestryDNA is acting as research guidance! After finding the surname match my objective was to find out as much as possible about the match. My number one goal was to find naturalization paperwork so that I could identify whether the match came from Baerenthal just like my ancestor. That would make for a very strong case for them being family! In order for this trick to work you need to have a public family tree associated with your AncestryDNA account AND your matches also need to have a public family tree. If they have no tree or a private tree their shared surnames will not return in the results. The other thing to consider is that even though you have a DNA connection with a potential match, unless the match is definitive, in other words you can identify exactly which ancestor you share in common, then you might actually be connected through a different ancestor than the "shared surname." For instance, if a DNA match doesn't have a very complete tree or if there are errors in their family then that might lead you in the wrong direction. Watch Me Walk You Through the Process! I created a video showing you exactly what I did and how. You can watch it here! Try using the Search Matches filter for yourself and see what kind of results you find! And let me know if you have any tricks of your own! 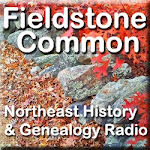 In an unprecedented move, AmericanAncestors.org, the website of the New England Historic Genealogical Society, is providing free access to all of it's online records. This is over one billion free records. Free access will be available April 6-13, 2016. See full press release below for further details. April 6, 2016—Boston, Massachusetts— America’s oldest and largest genealogical society announces a historic event for family historians around the world. 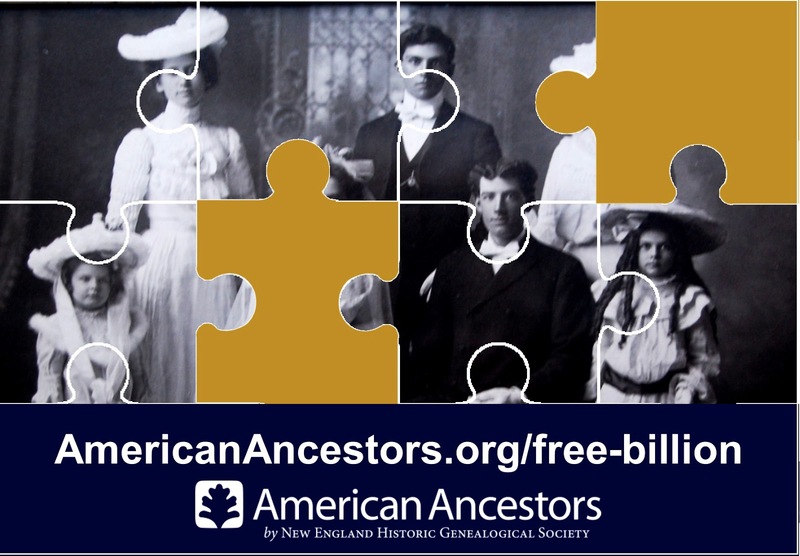 From April 6 to April 13, American Ancestors by New England Historic Genealogical Society (NEHGS) is offering FREE access to all of its online records on AmericanAncestors.org. More than one billion records covering 18 countries— including the most important family history research materials for early America created by the experts and scholars at NEHGS—and all are open to anyone who registers for a free account. Start searching now at AmericanAncestors.org/Free-Billion. 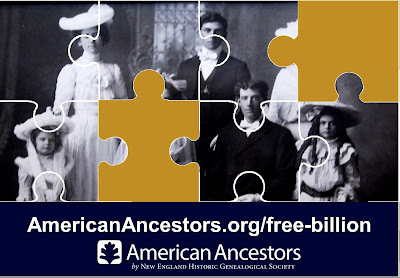 To assist family historians of all levels in locating more pieces of the family tree puzzle, NEHGS is granting this unprecedented free access to its entire collection of genealogical databases from Wednesday, April 6, 2016, at 12:00 a.m. (EDT) through Wednesday, April 13, 2016, at 11:59 p.m. (EDT). Free accounts on AmericanAncestors.org ordinarily allow visitors only a sample of the vast offerings that NEHGS provides family historians of all levels. This unprecedented free access promotion by NEHGS from April 6 through April 13 offers the Society’s entire collection of online content for eight full days to anyone who registers for a free account. Holding the largest collection of original family history materials in the country, the New England Historic Genealogical Society, founded in 1845, is the nation’s oldest and largest genealogical society. Our website, AmericanAncestors.org, offers access to more than 1 billion searchable records and leading scholarly resources to help you advance your family history research. Our expert staff helps researchers of all levels explore their past and their families’ unique place in history. Located in Boston, our research center houses millions of manuscripts, books, and original items to preserve the stories of families in America and beyond. The holiday season is bringing out the best in the paid subscription genealogy database providers! In celebration of Independence Day Fold3.com is providing free access to its Revolutionary War collection until July 15, 2015! This includes Revolutionary War Pensions and Revolutionary War Muster Rolls among others. You can access all the databases from the main page of their Revolutionary War Collections. AncestryDNA is having a 20% of sale that ends tonight at 11:59pm Eastern (New York) time. The last sale over Father's Day weekend was only 10% so this is a good discount. The regular price is $99 and with this sale it's $79.